My daughter loves playing outside and she loves sidewalk chalk, so it comes as no surprise that she had a blast with the Chalk City Road Maker and Activity Kit! It was so much fun to watch her create her own mini town, complete with roads, parking lots, a park, hospital and even a police station. Each day she would add something new, she even went as far as to add poles with grass at the bottom of each road sign - including speed limits and cross walks! She even got her Grandpa and Aunt involved. 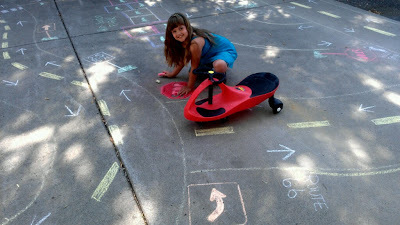 The Chalk City Road Maker and Activity Kit is so much fun, it will provide hours of entertainment for any child. Create new roadways, obstacle courses and so much more. Your kids or grandkids will have a blast as they zoom around on their favorite riding toys. It was perfect for my daughter and her PlasmaCar - but would also work great with tricycles and scooters too! 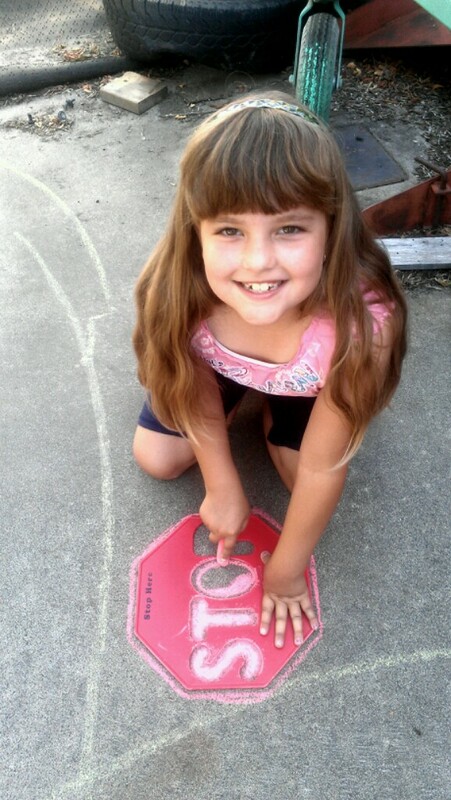 The possibilities are endless with Chalk City... your imagination can take you anywhere! This wonderful outdoor activity set is perfect for home, school and daycare centers - as it combines things that every child loves playing with. 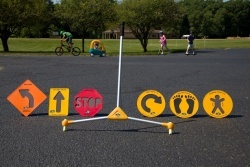 1 Road Maker: Holds two pieces of sidewalk chalk and creates roadways or courses for kids to run or ride around on their favorite riding toy. This giveaway will end September 5th at Midnight EST. 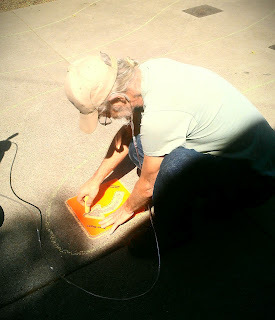 Disclaimer: I received complimentary Chalk City Activity Kit free using Tomoson.com for the purpose of writing a review and hosting a giveaway. Regardless, I only recommend products or services I use personally and/or believe will be a good fit for my readers. The views and opinions expressed on this blog are purely my own. Results may vary. No monetary compensation was received. I like the road sign stencils. My favorite is the Road Sign Stencils!! My favorite is their Road Sign Stencils. I think Maze Tag looks like great fun! The road maker is a great idea! The road maker would save my back. I like the Obstacle Course. I think maze tag looks fun!! I like the Road Maker! The Road Maker is very cool! Thanks for the giveaway!! My favorite is the road maker! I like the road maker ! !